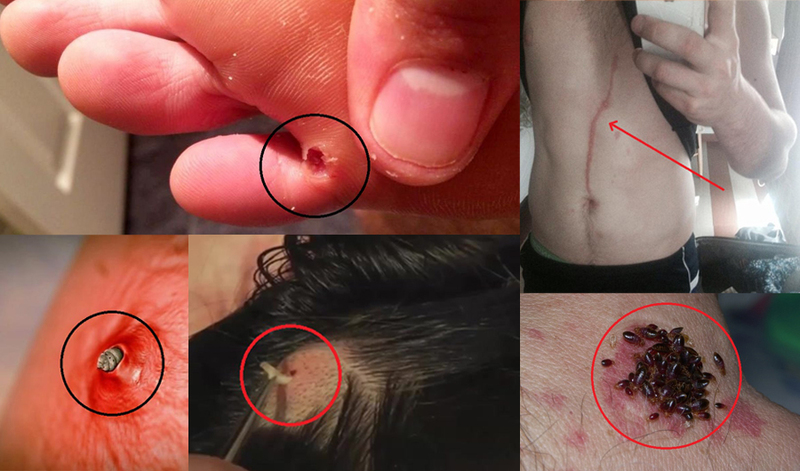 CREEPY: Parasites Found Inside Human Body that Could Crawl into Your Skin At Night! We usually ignore things that we presumed are ordinary to our body, like scratches, itchiness, or soreness that we feel. But we tend to forget that those ailments might be caused by something we didn’t expect. 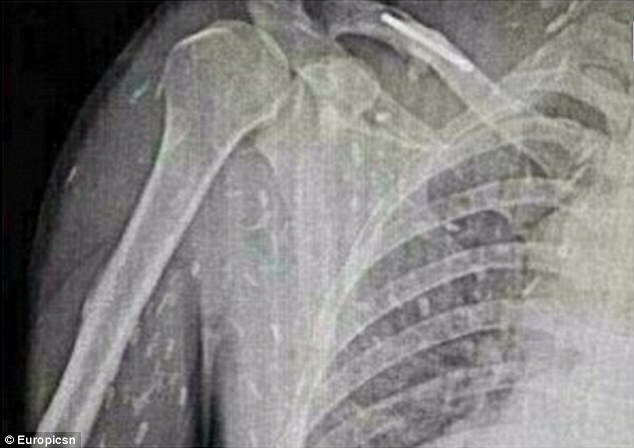 Just like the following people who found the freakiest things inside their bodies. What they found out were parasites living inside their body. We list down the most shocking organisms ever found living inside the human body that will teach us to value safety and cleanliness as these people experienced unbelievable infection that will surely give you goosebumps! A man from China loves to eat sashimi especially sushi. But his fascination to sushi almost took his life because his entire body is infected with tapeworm. 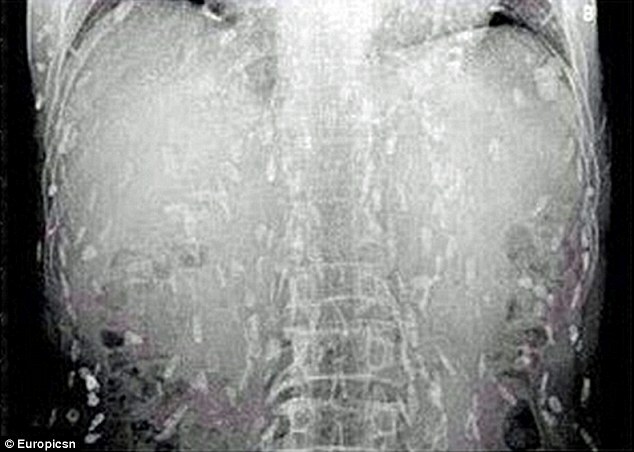 He went to see a doctor because of stomach ache and skin allergy, to his surprise, scans revealed his entire body had been infected with tapeworm after eating too much sushi. The doctor advised that the raw fish used in sushi is contaminated with tapeworm. Dylan Thomas came from a vacation in Bali when he noticed a red trail of blisters on his stomach. They insisted that he was probably bitten by an insect. 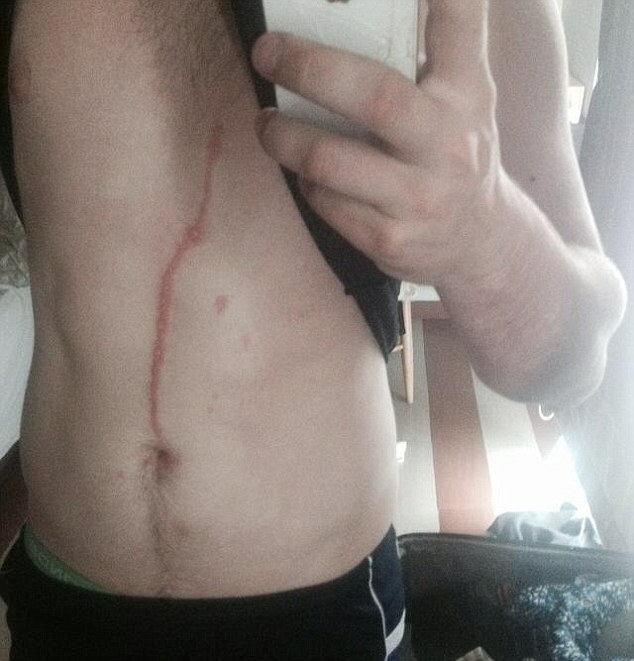 But to their surprise, it was not an insect bite but a tropical spider was living under his skin. The doctor told him that the spider might have entered his body through an old operation scar. Aaron Dallas from returned home from a holiday trip to Belize, thought he was “going crazy” because he could hear strange noises coming from his head and he can feel something is moving. He gets more concerned when he discovered lumps appeared on his scalps. 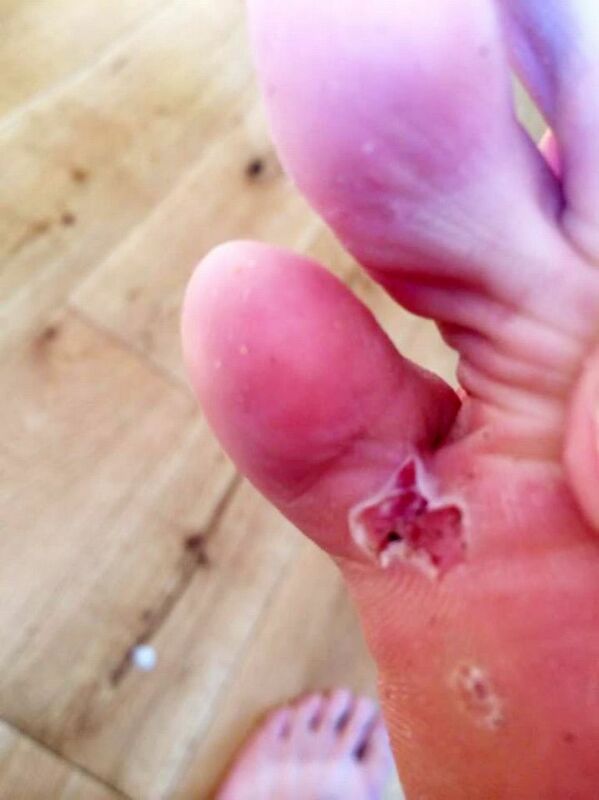 During their Bolivia vacation, a couple from Sydney, Bryan Williams and Ally Vagg noticed ordinary sores on their bodies. 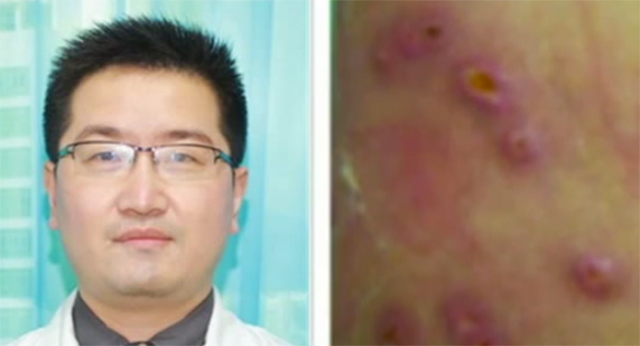 They thought it could be from mosquito bites but when they sought medical help in Bolivia, they discovered that numerous botfly larvae were growing under their skin. Matthew O’Donnell worked as a volunteer in Tanzania before coming home in September. But he’s unaware that he didn’t return alone because a parasitic bug called Chigoe Flea was hiding inside him from Africa to UK. The only time he realize that he had an uninvited guest which laid dozens of eggs is when he felt a tingling feeling in his foot as he sat on his bed at home. P.K. Krishnamurthy an Indian national thought he had an eye infection that’s been frustrating him for two weeks with redness and irritation. After deciding to see a doctor, they later found out that there’s a five-inch worm dug inside his cornea. After his six-month trip to Africa, a man named as Mr. Ma returned home in Guangzhou. He noticed some small, swollen sores along the right side of his body and leg and unaware of the cause, the sores became painful and itchy with high fever. When he decided to see the doctor, he was surprised that the bumps and sores were cause by colony of flesh-eating parasites that been living under his skin.